Many of us dream of writing a book, and it is so impressive to me when someone actually does it. 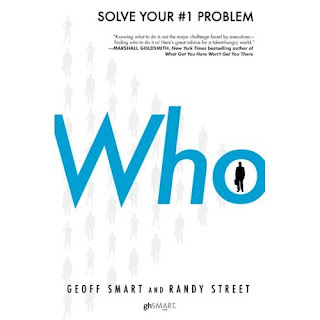 A sincere congratulations to Randy Street, the co-author of a wonderful new book called Who: The 'A' Method for Hiring. The book was published last week by Ballantine books, the business division of Random House, and is already moving up quickly through the Amazon.com rankings. Here's hoping that Randy's book makes the bestseller lists! As a side note, isn't the cover catchy and beautifully designed?